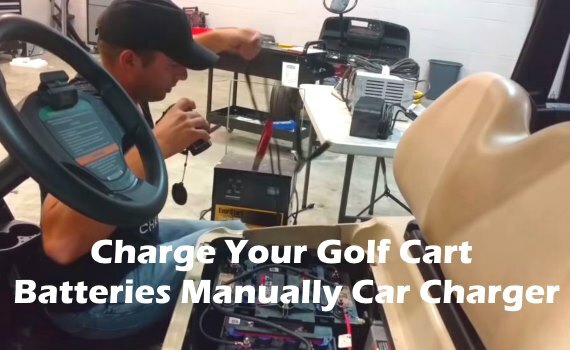 How to charge your golf cart batteries manually if your cart charger does not work. You will need an automotive style charger to get your golf cart batteries back up to a high enough voltage to finish with cart charger. This procedure is to get just enough charge in each battery for the golf cart charger to kick on. Most cart battery chargers will not work when you let your golf cart sit too long and the batteries go dead. Thanks to Tuber McCulley’s Golf Cars for the great video. If after you bring each battery up to a 12 volt level and your charger still won’t come on you need a new charger or it needs to be fixed. Here is a video that shows how to repair your golf cart battery charger.